Last week I visited our nations capitol, Washington DC. 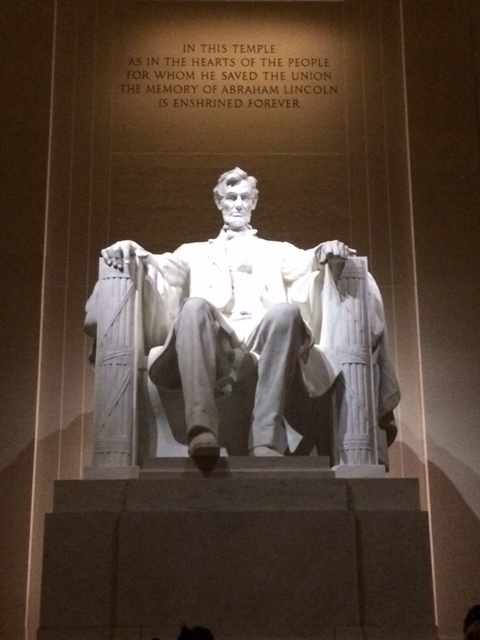 I toured the Capitol, the White House, the Library of Congress, various museums, monuments, and the sacred grounds of Arlington National Cemetery. Visiting these various locations prompted so many thoughts (some random, some deliberate) that it has taken me some time to process through them all. Here are some of the main takeaways. A simple tour of DC proves this to be false. 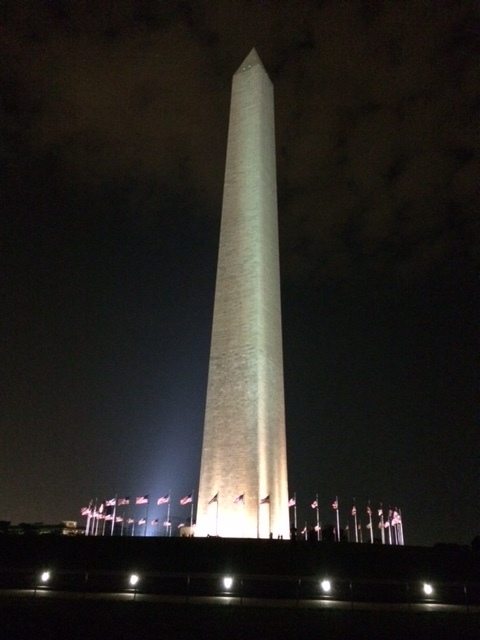 The Washington monument. Created to honor our very first President. A man who, when given the opportunity to expand power, chose to relinquish power back to the people. This principle, the idea that the government belongs to the people, is great. Abraham Lincoln. A man who fought for the idea that all men are created equal and managed to keep our nation intact as it sought to dissolve. This is great. 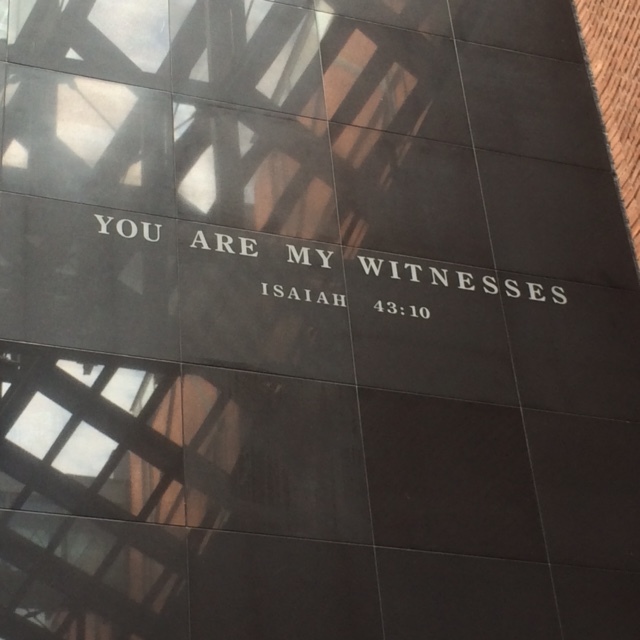 This photo is front the entrance to the Holocaust Museum. A museum dedicated to remembering the millions of lives that were exterminated by the evil Nazi regime. When confronted with evil in the world, the United States fought to destroy it. And succeeded. This is great. Finally. Arlington National Cemetery. 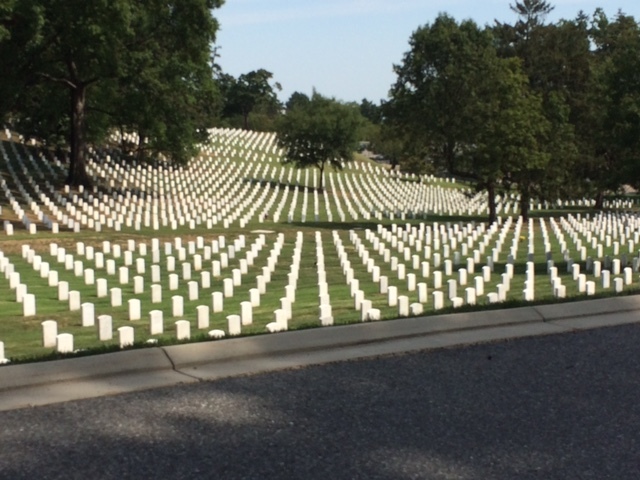 Countless rows of head stones with the names of honorable Americans. Many of whom died in combat securing the very freedom we have to proclaim that our country was never great. The free air that we breathe is because of their sacrifice. Our Nation has its scars. A past full of things that caused deep pain and sorrow for many. But don’t you? What do you expect from a nation full of people that have pasts full of things that have caused deep pain and sorrow? We are scarred, but this does not fully eliminate the collective greatness of our Nation. Our scars do not define us. Just like your scars do not define you. DC was surprisingly quiet despite it being election season. I anticipated more but was actually pleasantly surprised. Knocked off another MLB park while visiting. Enjoyed watching the Nationals play the Braves.